An official plot synopsis has been released for director Jason Reitman's upcoming film written by Diablo Cody, Young Adult. The film has a solid cast on actors that includes starring Charlize Theron, Patton Oswalt, and Patrick Wilson. 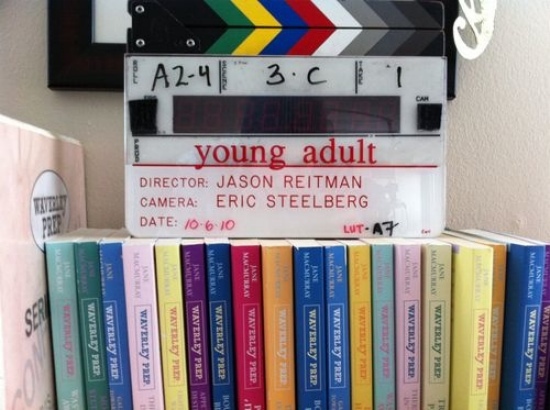 Reitman and Cody both worked together on the film Juno, Reitman went on to direct the wonderful film Up In The Air. No release date has been set for the film yet, but here's the official plot synopsis released by Paramount Pictures. Charlize Theron plays Mavis Gary, a writer of teen literature who returns to her small hometown to relive her glory days and attempt to reclaim her happily married high school sweetheart (Patrick Wilson). When returning home proves more difficult than she thought, Mavis forms an unusual bond with a former classmate (Patton Oswalt) who hasn’t quite gotten over high school, either. Reitman is a great storyteller, he's got a awesome cast, and I'm sure he'll do a fantastic job bringing this story to life.